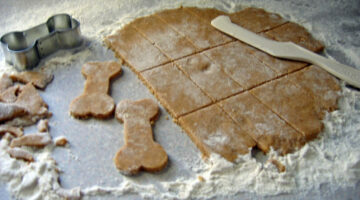 Tips for making homemade dog treats and homemade dog food. 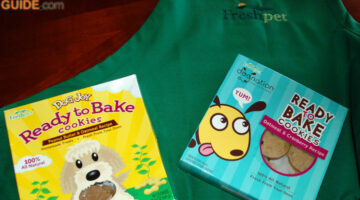 The best dog treat recipes your dog will love! 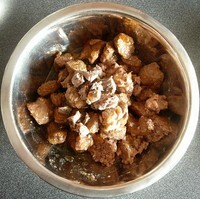 I used to ignore dog treat recipes if I didn’t have 1 of the ingredients on hand. This handy chart shows how to make homemade dog treats with 3 ingredients. Plus some handy substitutions for dogs! These dog recipes would work great ANY time of year, not just Halloween. 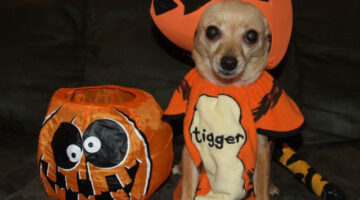 In addition to the homemade dog treats recipes, you’ll find some fun ways to give dogs their Halloween treats. Ice cream and birthday cake for dogs are 2 simple things that can turn an average day into a dog birthday party! Here are some dog cake recipes to try, plus the inside scoop on how we include our dogs when we go to Dairy Queen. 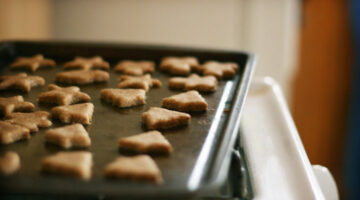 If you make dog treats yourself, they’ll be cheaper and healthier than store-bought ones. And you’ll be able to pronounce all of the ingredients! 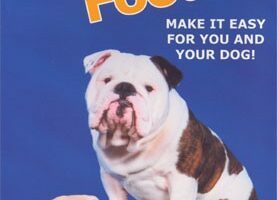 All natural dog food is best, however, there are still some advantages and disadvantages — as with anything. Your biggest decision will be should you use store-bought natural dog food or make homemade natural dog food for your pet? 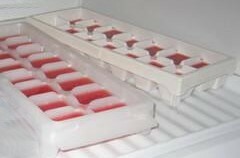 Pooch Smoothies are ice cube sized popsicle treats for your dog — minus the stick. You might also call them Yogurt Cups for Pups… or Puppy Popsicles. The best part: They’re made with all the same ingredients you would use to make a Fruit Smoothie for yourself! Here’s how to make them. You’ve heard the controversy about feeding dogs raw food. Now, get the facts about dogs eating raw food… And, with the help of this book, get some of the best tips and recipes for feeding your dog the ‘BARF’ diet – Biologically Appropriate Raw Foods. In case you’re wondering what ingredients to look for in your dog’s food, consider this… Here are the Top 10 nutrients your pet needs.